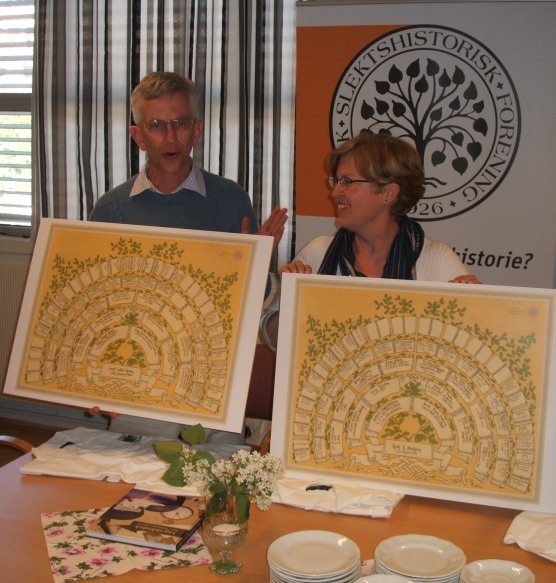 Grant Luther Aaseng and his wife Ruth, née Bretheim, received family tree charts from Norsk Slektshistorisk Forening (the Norwegian Genealogical Society). 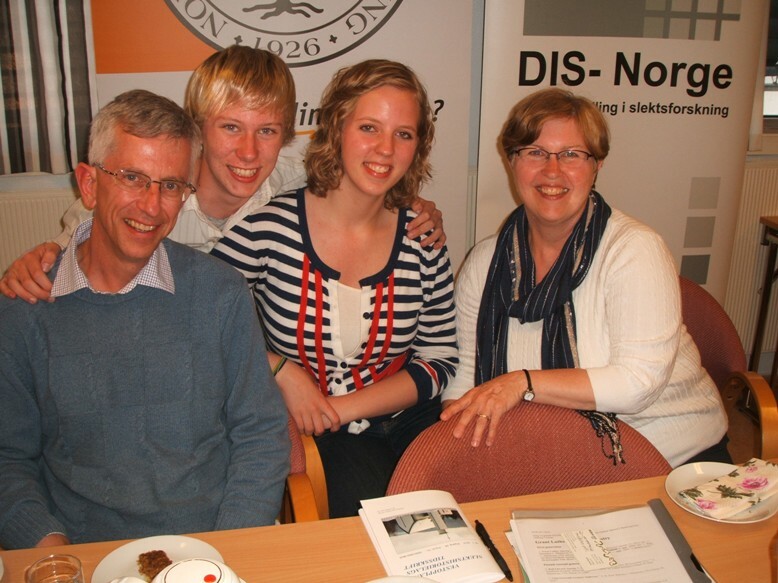 The Aaseng family: Grant, Kris, Marit and Ruth. I wrote about the reality show «Alt for Norge» («All for Norway») in connection with the first episode which was broadcasted on TVNorge on 8 April 2010. Ten Norwegan-Americans were invited to Norway to determine which member of the group was «the most Norwegian». The winner would eventually meet his or her Norwegian relatives for a family reunion as well as receive 50.000 US dollars. One of the participants was pastor Grant Luther Aaseng, whose ancestors come from among others Fron, Numedal, Haus and Sogndal. 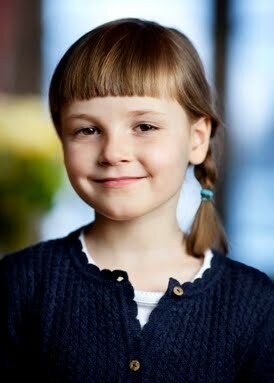 He was eliminated from the show in episode 6, which was broadcasted in Norway on Thursday 20 May 2010. 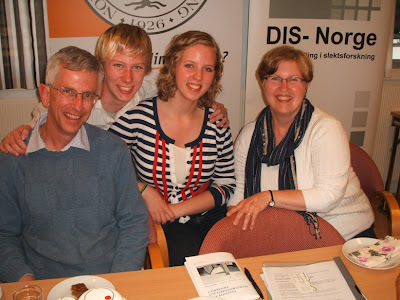 Norsk Slektshistorisk Forening, the Norwegian Genealogical Society (NSF), invited the pastor and his family to come to Norway to meet their relatives, and last Wednesday they arrived for a hectic, but surely exciting, 6 days' stay. They have among others met family in Heidal and in Biri, where some of the ancestors of Grant Aaseng's wife Ruth came from. Tonight the Aaseng family came to the library and office of NSF for coffee and waffles and a meeting with committee members of NSF and the other genealogical society, DIS Norge and with family living in the Oslo area as well as members of the production company Monster. The Norwegian Genealogical Society provided Grant and Ruth with their family tree charts, which members of the NSF committee had worked on the last few weeks prior to their arrival. The Aasengs leave for the United States on Tuesday 1 June. The final episode of «Alt for Norge» will be broadcasted on 3 June. The finalists are Matthew Lovik (Santa Cruz, CA/Stord, Hordaland county), Maia Surace (Chicago, IL/Austre Moland, Aust-Agder), Doug Miner (Seattle, WA/Helleland, Rogaland) and Clinton Admire (Fort Worth, TX/Haugesund, Rogaland). The Swedish Royal Court announced today, in connection with the publishing of the banns of marriage for Crown Princess Victoria and Daniel Westling in the Palace Church in Stockholm, that King Carl Gustaf on the wedding day 19 June 2010 will confer on Daniel Westling the titles of Prince of Sweden, Duke of Västergötland with the style of Royal Highness. The decision to confer the titles Prince of Sweden, Duke of Västergötland was announced already on the day the couple was officially engaged, 24 February 2009. I took it for granted that the titles would go along with the style of Royal Highness, something I also commented on in connection with Princess Madeleine's engagement (now broken) to Jonas Bergström in August 2009. The lack of clarity in the original press release of 24 February 2009 has lead to some confusion as well as discussions in the media as well as in various newsgroups and message boards. There was of course no reason to doubt that the future Prince Daniel would not become a Royal Highness. The king had already consented the marriage, and as the press release says, Daniel is to become a member of the royal house, "det vil säga Kunglig Höghet" ("in other words Royal Highness"). Should he have not become a Royal Highness, it would be a rather strange break with tradition and many would have interpreted it as a sign of the king's dissatisfaction with Crown Princess Victoria's choice. The court also explains that Daniel will become Duke of Västergötland because his wife-to-be is a Duchess of Västergötland. This should be interpreted as saying that he gets his titles in connection with marriage, not "in his own right". The mystery is why on earth the royal court decided to announce the decision about the style at the day the banns of marriage was published - the banns and the decision upon titles and style have no connection whatsoever. For a member of the royal house the title and style go hand in hand, so there is no reason to believe that the decision was not yet made, as Anette Wallner at the Royal Court claimed in a comment to Swedish TV earlier this week. She just had her mind somewhere else that day. It is quite possible that the Royal Court did not think about the question of style when the original press statement was released, as it took it for granted. Good then that everything is cleared out, and that everyone now can focus on other aspects of the royal wedding instead. The Royal Court has, by the way, made a separate website for the royal wedding: in Swedish and in English. Another source of information would be The Local's royal wedding page. I have earlier written about Princess Nathalie of Sayn-Wittgenstein-Berleburg's engagement and pregnancy. In connection with the news about her pregnancy we were also told that the civil wedding was to take place in May 2010. The Danish Royal Court announced on Friday 28 May 2010 that the civil wedding between Princess Nathalie of Sayn-Wittgenstein-Berleburg and Alexander Johannsmann took place on Thursday 27 May 2010 at the Orangerie in the Palace Park of Berleburg. The church ceremony is planned to take place in 2010. The couple will continue to live at Berleburg Palace (Schloss Berleburg), and the princess will also continue using her maiden name. Princess Nathalie, the youngest daughter of Princess Benedikte of Denmark and Prince Richard of Sayn-Wittgenstein-Berleburg, is, among others, a first cousin to Crown Prince Frederik and Prine Joachim of Denmark, a second cousin to Crown Princess Victoria of Sweden, who is getting married to Daniel Westling on 19 June 2010, and a third cousin to Crown Prince Haakon and Princess Märtha Louise of Norway. In other words, the baby Princess Nathalie is expecting in July 2010 will be a fourth cousin to Princess Ingrid Alexandra and Prince Sverre Magnus of Norway. In my recent blog article about John Quincy Adams' short stop in Kristiansand in 1809, I wondered if it would be possible to find any other information about the visit other than what one can by reading his journals. The (short) answer to this question was not far away, as I had forgotten to consult my copy of Norsk Slektskalender, third volume, which has one chapter about the Isaachsen Willoch family. On page 209 in the said volume one can read about Peder Isaachsen, b. 13 May 1778, d. 26 September 1831, who worked and lived in Kristiansand as a shipowner, timber merchant and landed gentleman. Then we learn that "Efter et besøk 19. sept. 1809 av senere president i U.S.A., John Quincy Adams, ble han amerikansk konsul" ("After a visit on 19 September 1809 by the later President of the United States, John Quincy Adams, he became [an] American consul"). In other words, the ship reached Norway on 18 September 1809, and John Quincy Adams, who served as President from 1825 to 1829, went into Kristiansand the day after and dined with the Isaachsens. Peder Isaachsen, who belonged to the second branch of the Isaachsen Willoch family, was the second son and third child of Daniel Isaachsen (Willoch) (1744-1813) and Christiane Hedvig Christensen (1751-1798). Peder married in 1805 Margrethe Susanne Applebye (1783-1871), a daughter of P. Applebye and Marie Christine Holsten, Copenhagen. The second branch died out in the agnatic line with Pastor Thorvald Egidius Isaachsen in 1933. There is therefore no further information about the genealogy of this branch in the book. I have earlier mentioned that the Mandal artist Olaf Wilhelm Isaachsen (1835-1893) belonged to the first branch, line 2, while former Norwegian Prime Minister Kåre Willoch belongs to the first branch, line 4. It is quite possible that one can find more information about Adams' visit to Norway in history books about Kristiansand. That is something I will have to explore further later on. I gather that it should also be possible to find the details about Peder Isaachsen becoming American consul in the archives of the US Department of State. Members of the Isaachsen Willoch family might know a thing or two as well. I published a short review of the booklet Etterkommere av Lars Leivsen født 4 april 1838 Drammen død 3 januar 1899 Jevnaker gift 11 november 1865 Drammen med Astrid Herbjørnsdatter født 21 februar 1840 Tinn i Telemark død 12 mars 1924 Jevnaker here on Thursday 27 May 2010. Because I experienced some technical problems which I didn't manage to solve completely (parts of the article was not shown when using Explorer, while everything seemed to work fine with Firefox), I decided to move the article to my website. Updated on 29 May 2010 at 00.30. First US President to visit Norway? 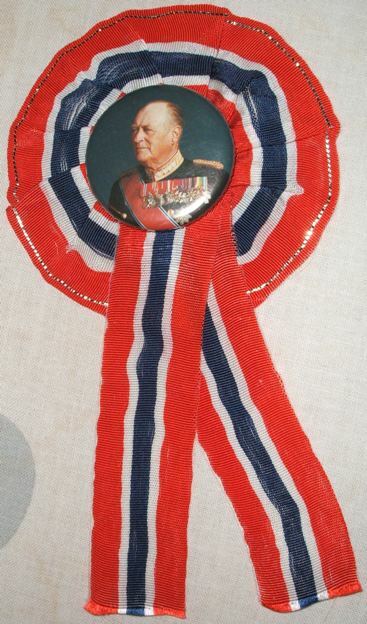 Bill Clinton was the first sitting US president to visit Norway. He spent two days in November 1999 among others to take part in events commemorating the late Israeli Prime Minister Yitzhak Rabin. A part of the stay was also made a state visit. 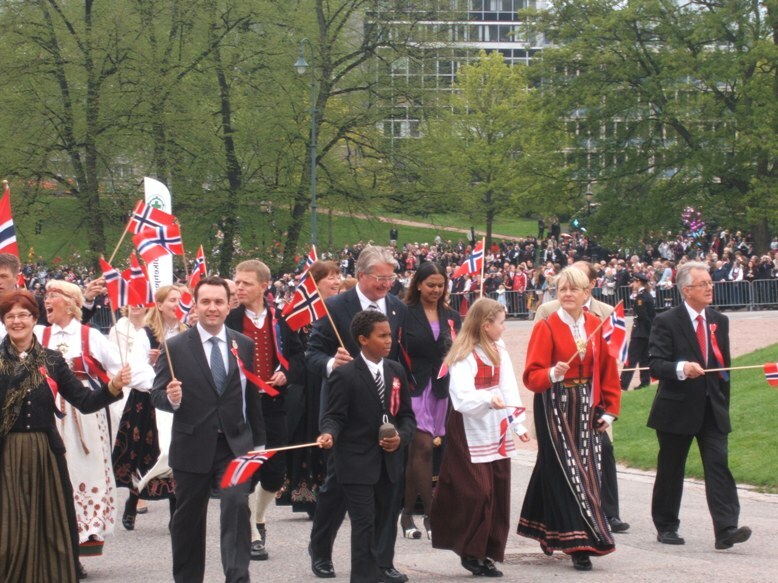 Clinton also visited Oslo under his student days back in the 1960s, and after leaving the presidency he has come to Norway 2-3 times (I had the opportunity to shake hands with him during his visit to Oslo in May 2007). But the book doesn’t explicitly say that Adams ever set foot on land. However, the answer seems to be found in his diary no. 28 (and no. 23), where he among others tells about his stay in Kristiansand where the Adams family during a storm lodged "at the Isaacson's" (to this family belongs among others former Norwegian Prime Minister Kåre Willoch as well as the artist Olaf Isaachsen). I am not sure if one can find out more about the stay than what can be read in the said diary. I hope to explore the question further one day. Updated 9 June 2010 at 20:10: Link 1 and link 2. I was convinced that the tombstone of Steve Marsh was located somewhere in the United States, as Uncle Sam seems to be more liberal about what is allowed in cemeteries, but it appears that the car tombstone can be found at the privately owned Manor Park Cemetery at Forest Gate in London. See also the article BMW Tombstone for car fanatic Steve Marsh at Telegraph.co.uk (6 May 2010). The former king of Nepal, Gyanendra Bir Bikram Sham, made a surprise public appearance last Sunday at the Bageshwari temple in Nepalgunj, and was cheered by royalists who cried for the restoration of the monarchy. The king was deposed in 2008. Nepal is currently undergoing a constitutional crisis, but the chances of restoration are still microscopic. Gyanendra has recently also made headlines because of a TV interview where he complained about his suffering of up to 12 hours of power cuts a day. "Justice has not been given to me", the king told the TV audience. HRH The Prince of Wales arrived today in Oslo to attend the Climate and Forest Conference, which takes place on Thursday 27 May 2010. The goal of the conference - to quote the FAQ at the official website - is to establish the framework required for securing effective and sustainable implementation of REDD+ (reducing emissions from deforestation and forest degradation). 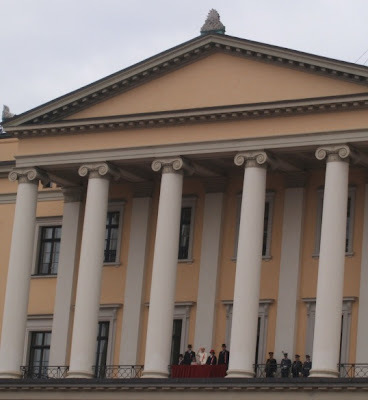 During his visit, the Prince of Wales will stay at the Royal Palace. He was met by Crown Prince Haakon at Oslo Airport Gardermoen today, but it is Crown Princess Mette-Marit who will play the role as host, as the other royals have a packed program. 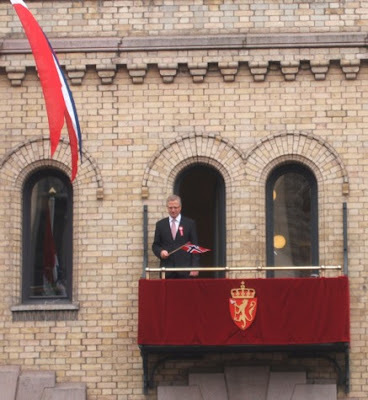 According to the Norwegian Royal Court, the Crown Prince had a meeting with the Prince of Wales at 5 p.m., before heading for the airport again to leave for Shanghai, where he is to attend the Norway Day at Expo 2010. 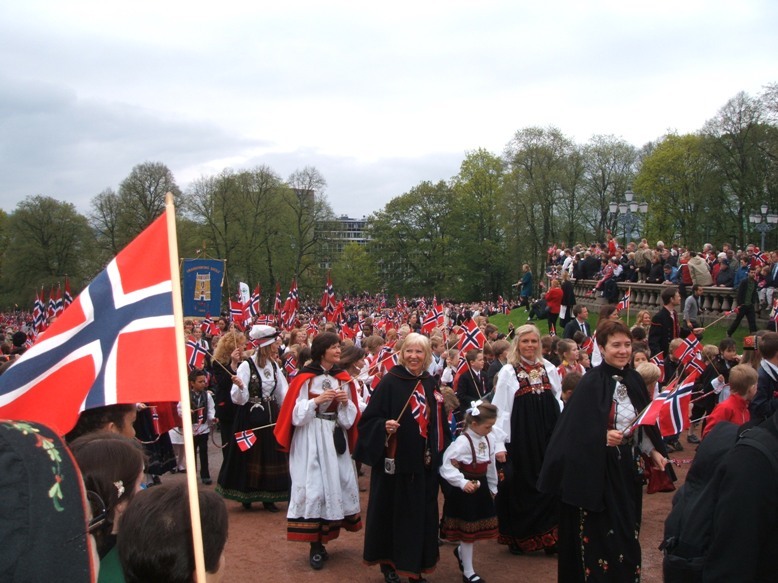 King Harald and Queen Sonja are in Bergen in connection with the annual Bergen festival. Crown Princess Mette-Marit will therefore represent the royal house tonight at the official dinner arranged by the Norwegian Prime Minister on the occasion of the climate conference. The king will be back, however, be back in Oslo on Thursday to host a luncheon for the heads of state and heads of government attending the conference. The Norwegian Prime Minister's Office has published a participants list for the conference. It gives the names of Prime Minister Lars Løkke Rasmussen of Denmark, President Ali-Ben Bongo Ondimba of Gabon, President Susilo Bambang Yudhoyano of Indonesia, Prime Minister Raila Amollo Odinga of Kenya, Prime Minister Jens Stoltenberg of Norway, Prime Minister Michael Somare of Papua New Guinea and President Denis Sassou Nguesso of the Republic of Congo. In addition among others 18 ministers will attend, as well as dignitaries such as the Prince of Wales and Noble laurate and Professor Wangari Muta Maathai from Kenya. Christopher (Chr.) Brinchmann (1860-1944) published in 1924 the book Norske Konge-sigiller og andre fyrste-sigiller fra middelalderen ("Norwegian Royal Seals and other Princely Seals from the Middle Ages"), which includes seals provided by National Archivist (Keeper of Public Records) Henrik Jørgen (H.J.) Huitfeldt-Kaas (1834-1905) and drawn by the artist Eilif Peterssen (1852-1928) and architect Hakon Thorsen (1866-1925). The book has now been made available by Lars Ove Wangensteen at his website Wangensteen.net in form of an e-book. The drawings can be viewed from page 42 and onwards (e-book p. 45). See also Wangensteen's heraldry page for other heraldic works made available. I visited London in February 2010 and got to see one football match during my stay there - my favourites Norwich City away vs. Millwall at The New Den. 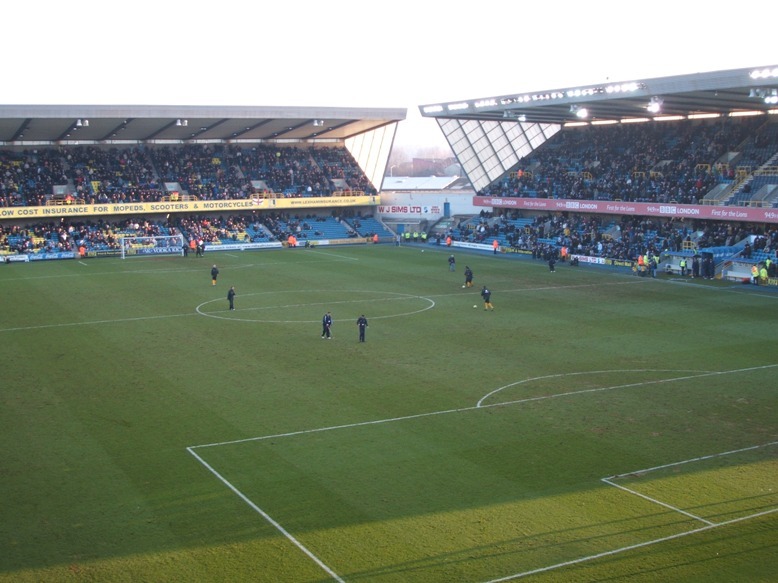 Norwich lost 1-2, but the Canaries, as they are called, went on to win promotion to the Championship. My "travel letter" about the football match was published in the Norwich City Supporters' Club of Scandinavia's newsletter The Canary Magazine No. 117. Now the article has also been published at Supporterunionen for Britisk Fotball's website (in Norwegian). Supporterunionen (SBF) is the umbrella organisation for all the Scandinavian-based supporters' clubs for British football teams. The number of members has passed 90.000. I would love to know at which cemetery this tombstone is located! It reminds me of a tombstone I saw at Zentralfriedhof in Vienna once, which included a photograph of the deceased and his favourite car. I regret to this day that I didn't take a photo of it, but that was before I got a digital camera. It was nothing compared to this one, of course. The Royal Palace in Oslo could earlier this week confirm that Princess Ingrid Alexandra, the eldest child of Crown Prince Haakon and his wife Crown Princess Mette-Marit, has been registered to start school at Jansløkka in Asker. The school year of 2010-2011 begins on 19 August. Although the princess will be the first member of the royal house that will attend a neighbourhood school, the choice did not come as a big surprise, as Crown Princess Mette-Marit's son Marius Borg Høiby already goes there. 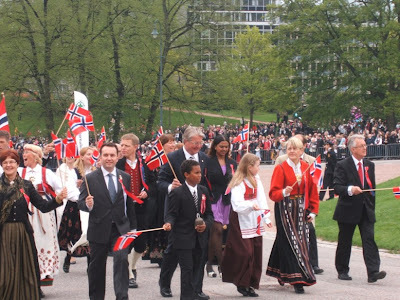 * King Harald V and his children Crown Prince Haakon and Princess Märtha Louise attended Smestad School in Oslo. I think the Crown Prince couple has made a good choice. 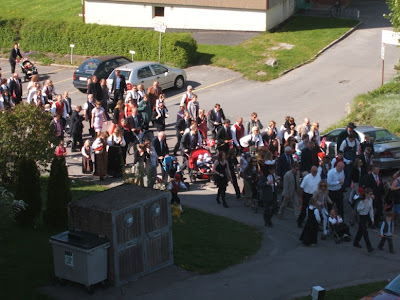 It must be much better for the princess to attend a school which is so close to the Skaugum estate, especially as many friends from her kindergarten will join her. Surely the princess will feel more at ease in familiar surroundings. Go to Gulesider.no to see a map of Asker and Jansløkka School. The Skaugum estate is just north of the school buildings. See also pictures of Jansløkka School here. 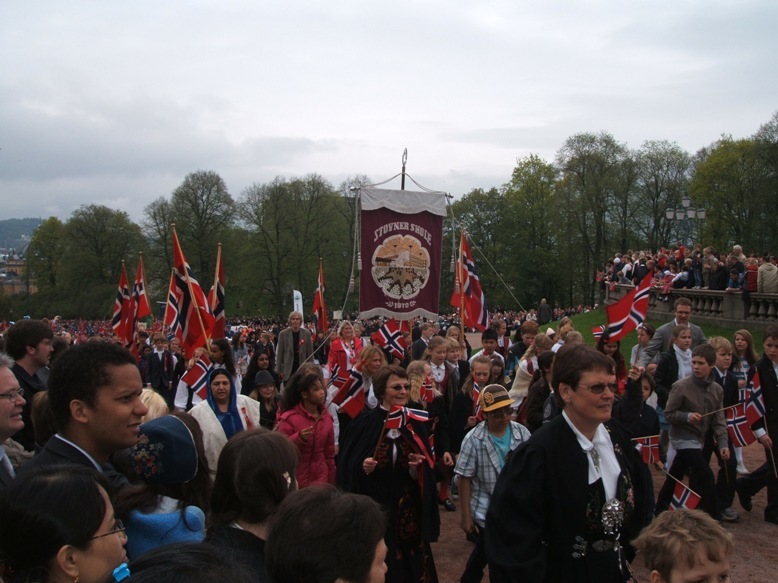 The Norwegian National Day is celebrated on 17th of May in memory of the events of 1814, when Norway got its independence and the Constitution was passed. A central element of the celebrations is the children’s parade. Here are some pictures from the parade in Oslo, which is greeted by the Norwegian Royal Family at the Palace balcony. HM The King's Guard at the head of the parade as usual. The Mayor of Oslo, Fabian Stang, in the middle. To the left (with a blue tie) the Governing Mayor (leader of the City Government), Stian Berger Røsland. The Norwegian Royal Family greets the children's parade from the palace balcony. From such a distance, and with only a pocket camera available, this was the best I could manage... I hope to get a better camera in a not too distant future! Uranienborg School can be spotted in the background. First Vice President of the Storting, Øyvind Korsberg, greets the children's parade from the Storting Balcony. 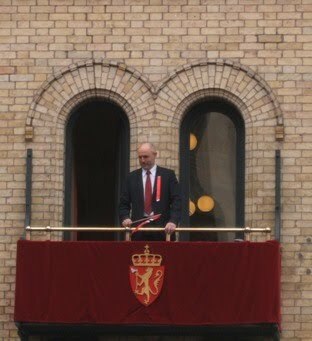 The President of the Storting, Dag Terje Andersen, returns to the balcony after a well-deserved (?) break. 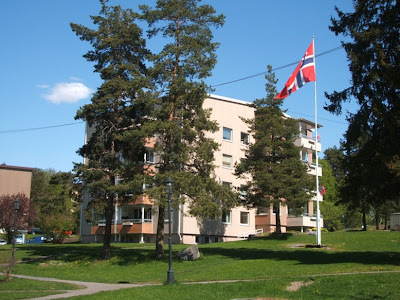 ... and in my old home town Sandefjord (SB.no), including a pictures gallery and the traditional laying of wreaths at among others the war graves at Ekeberg cemetery and at the Seamen's Memorial outside Sandefjord church. Tomorrow - 17th of May - is the national day of Norway. 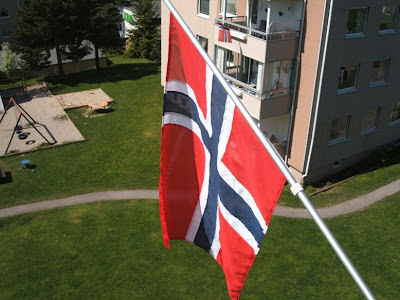 Before I go downtown to watch the children's parade from my usual spot in the Palace Park, the most important task will be to take my balcony flag out. The weather forecasts are not too promising, but the flag has to be taken out no matter what! My balcony flag - 17th of May, 2009. There are often parades in the local communities too. Here is a picture of the parade at Oppsal last year. Nordre Aker: Their Majesties The King and Queen visit the Nordre Aker area in Oslo (16.00). 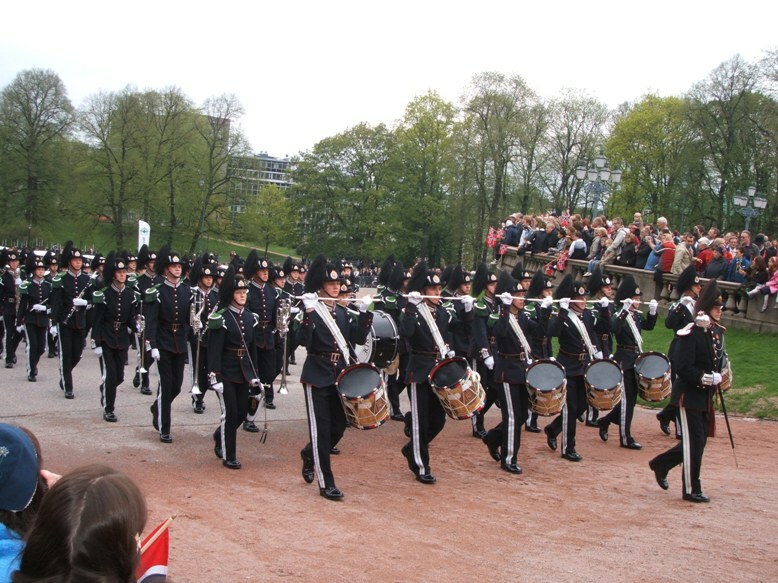 Program (in Norwegian). Happy 17th of May everone! Comments to my blog are always welcome – whether it be additional information, corrections, different angles, criticism or whatever – I always feel grateful when people find the time to write a few words. As the readers have discovered already, comments to the blog are not published immediately. I have decided to moderate the comments to avoid spam, obscenities etc. I usually check my administration area every day, but as I cannot be around every minute of the day, I feel more comfortable with the opportunity to control the contents of the comments that are posted. It should be stressed, however, that all comments that I have received so far «have passed through the eye of the needle». The only exceptions have been comments written in either Chinese or Japanese or with letters or figures that are not recognisable at all. The blog language is English, so I would prefer if everyone write back in English as well. I will, however, accept comments written in Danish, Swedish or Norwegian as well as in German – but if you wish that most people should be able to understand your comments, then I guess that English is the best choice.